Guadalajara is the birth place of Mariachi music. 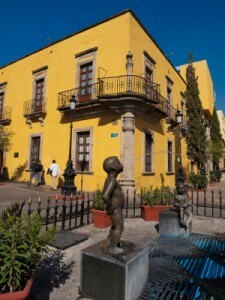 Mexico’s second largest city. More than 4,000,000 people live in Guadalajara Metropolitan Area! Since the weather is milder than other parts of Mexico, Guadalajara is a great alternative for those who want to teach English in Mexico but cannot stand the heat. Produces over 60% of national leather goods. Fine shoes and jackets can be purchased for a fraction of what international brands cost. Take your TESOL certificate online and qualify for public, private and university positions in Guadalajara, Mexico! Tulum offers one of the most unique landscapes in the world. Who wouldn’t like to lay on white sand, facing the blue ocean and amazing Mayan ruins? TESOL teachers can also have a lot of fun, spending the day at the cenotes, which are fresh natural pools in the middle of the jungle. 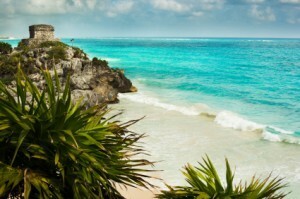 The most attractive thing about Tulum is Sian ka’an, which literally means “where the sky is born”. This beautiful natural reserve is habitat for millions of birds from the coastal region, and there is no better way to experience so much beauty than by kayaking with your friends. Tulum is a place for adventure and also entrepreneurship. To earn extra income, you can take advantage of the large hospitality industry and offer great ESL packages to groups of managers and staff. Mexico is a great country for TESOL graduates to come and have a great time. It is the 10th greatest tourist destination in the world, thanks to its beautiful beaches, warm culture, and wonderful cuisine. Due to its proximity to the United States and Canada, and the free trade agreement with these nations, the demand for ESL teachers is very high. The capital is Mexico City, a buzzling metropolis of almost 9 million people. Top tourist attractions are the National Museum of Anthropology, the World Trade Centre (45th Floor), plenty of charming archeological sites, and Chapultepec Park.